Sometimes we end up the month in unexpected debts, not knowing where did we spent all the money. It's a frustrating feeling. In order to avoid such situations, we are going to present you monthly budget planner that will help you to easily manage your monthly budget. 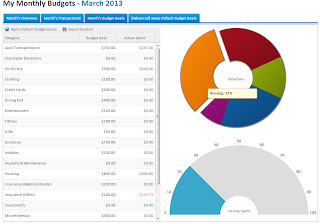 Card Nanny is a neat and simple personal management finance tool. Everything is processed in 3 easy steps. First you need to create an account. Yeah, you have to leave name on card and number, but it's 100% secure (I'm a customer for more than a month). Then you need to customize your budget goals. Here is a screenshot of how your budget goals would look like. Pretty good, huh? After you add your expenses and incomes you can start budgeting. How can Card Nanny help you? - It can save you money, because you are on a budget and you'll know on what you are spending money. Also, these monthly budgets will raise your awareness, so you'll spend less money on things you don't need. - You will be organized and you will have detailed, but simple, review of where you spent your money. - You will set goals, and most likely you will follow and accomplish them. Also there are tons of other features like: My Cards, My Rewards, My Receipts and Warranties, My Credit Scores, My Credit Card Applications, My Remainders, My Goals..
CardNanny is indeed a great product, and it only cost $5.95 a month, with a 30 day full refund policy. For some time now, technology has been growing faster than at any other point in human history. For most of our time on this planet, revolutionary changes were centuries apart, if not longer. Horseback travel was the norm for thousands of years before the steam locomotive came around, and it took another century after that for the automobile to gain mass production. At the unbelievable bargain of $69, the ground floor version of Amazon’s popular e-reader will let you dive into our current age by modernizing one of the oldest surviving mediums of entertainment—reading. If you’ve never experienced the e-book phenomenon, now is the time to get started. Hundreds of thousands of books are available with the press of a button, all on a device that weighs less than a paperback, is more comfortable to hold, and can be read in direct sunlight with a perfect simulation of real paper. If you don’t need video streaming, web browsing, or hundreds of gaming apps, the original Kindle will make you feel guilty about abandoning your bookstores. Reportedly hitting retail shelves in the United States sometime around April of this year, Hewlett Packard’s new gadget is looking to be a strong contender in the bargain-priced tablet arena. At an agreeable $169, the Slate 7 is poised to compete with the similarly priced Kindle Fire. With a few custom tricks up its sleeve—including an impressive aluminum casing and highly polished overall features—the Slate 7 may become the best way to enter the tablet world without dropping $400 or more. 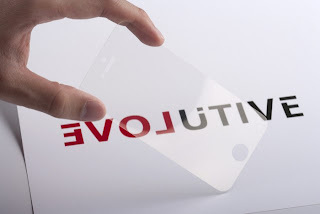 Among the crowd of modern gadget marvels, none stand higher than the smartphone. Combining the greatest advances in telecommunications and computers of the last few decades into one powerful little package, the smartphone has done the seeming impossible: made Internet access 100% portable, constant, and pocket-sized. If you’re looking to dip your toes into the smartphone market, but feel knocked over by the incredible range of choices, features, and price tags, you should definitely consider Samsung’s ATIV Odyssey. You won’t be able to stream HD video, or run the endless catalog of apps that transform your phone into a dog whistle, flashlight, palm-sized gaming machine, and more. But you’ll have a very serviceable 4 inch screen that will let you surf the web wherever you are (on a 4G network, no less), send emails, and experience the general benefits of having the web available to you at all times. All at the incredible price of $49.99. If you’re new to smartphones, you might be surprised by the bump in monthly price that your cell phone plan will require, but with the unit itself available for a cool fifty bucks, there’s no better way to test the smartphone waters. All of these gadgets are fun, powerful, useful, and priced to move. They’ll get you up to speed on what the modern tech world has to offer, without chasing you away with high cost and complexity. John is a blogger who still counts his 1st generation Kindle as the greatest gadget of the last 10 years. He writes for online insurer protectyourbubble.com, a company that provides protection for smartphones, tablets, e-readers, and everything else from the modern world that you might want to try. Like most people, your email account has probably been bombarded over the years with online petitions looking to save various parts of the world, impeach certain Congress members, and more. Unfortunately, if you do happen to sign your name to these things, your interest in being an involved citizen may make you more vulnerable to identity thieves. Names, home addresses, and phone numbers are some of the key bits an identity thief needs to begin searching the Internet for a possible way into your life, and online petitions are appealing targets because they have tons of personal info in one convenient place, oftentimes without particularly high security. You don’t have to immediately trashcan every single petition that makes it into your digital mailbox, but you can be respectfully cautious with your information, and make sure to leave only what is absolutely necessary on the form. If you purchase anything from a specialty store, or from a more traditional mom-and-pop establishment, you may end up with an online account that doesn’t quite have the security of a large-scale retail chain. Security is getting better—and easier to implement—all the time, but there are still a few websites out there with merchant accounts that keep your credit card info on file that you’d be better off closing. So if you buy a $3,000 custom acoustic guitar from a local maker with a website from the mid 90’s, you might be better off doing all of your business with him in person instead. Millions of people hunt for jobs online; it’s become the dominant form for employment searches, and that isn’t going to change anytime soon. So while most of us will have to do this—probably multiple times—during the course of our careers, you can at least be careful where you stick that resume. Your name, address, phone number, work history, and school information are incredibly important pieces of information, and you don’t want them posted on every job board available, no matter how dubious the quality, out of the fear that you’ll miss some important networking opportunities. Stick with the reputable places, and don’t worry about missing out on any choice employers that only hunt on obscure websites for their staff. John is a blogger whose family member had his debit card number stolen when he purchased a custom guitar from a local business’s website with a horrible merchant system and account security. He writes for Internet insurer Protect Your Bubble, a company that can help protect your identity from the more unscrupulous people on the web. If you’re a frequent traveler, you’re no doubt familiar with the particular joy of desperately searching for a rental car at the last second. Canceled flights, lost reservations, and double bookings are always waiting to strand you in some part of the world that you’d just as soon forget. If you still reserve your rental cars via a home PC, traditional phone call, or—worse yet—in person, here are 3 brief reasons why you should get in the habit of booking your temporary rides with a smartphone. Unless you want to be one of the five people in the last decade to actually use one of those airline phones—and don’t mind parting with a small fortune to do so—you need a way to make last-minute car reservations while you’re still in your seat, soaring over the world’s flyover country. With the airline’s in-flight wifi, your smartphone will let you secure a rental before you ever touch down, giving you a leg up on all the other travelers, and increasing the odds that you won’t have to sleep in an airport full of passengers with cancelled flights. If you fly on your own dime, you definitely know how important those travel receipts are around tax time. Even if you’re not footing the bill yourself, most companies will be using your travel expenses for write-offs, and will probably make it your job to give them a complete tally at the end of every trip. Booking everything on one of the various smartphone apps for rental cars gives you immediate access to well-organized receipts, relieving you from the worry of scribbling everything down six months later as you try to close out your expense account. If you rent enough, you’re familiar with the wild price discrepancy between paying online through a company like Hot Wire, and paying directly at the counter of a rental agency. Internet deals are almost always the way to go, and if you get into the habit of using your smartphone to scope out rental cars, you’ll combine the flexibility of booking a car on the go with the considerable discount from reserving and paying for your car online. If you’re someone who’s already sold on using your smartphone for as many daily tasks as possible, you probably don’t need any more encouragement. But if you’re still booking car rentals the old-fashioned way, you can save time and money by using that phone for something more than Angry Birds. John is a blogger who is grateful that he hasn’t had to book a car rental for the last six months. He writes for protectyourbubble.com, an online insurer of rental cars, smartphones, and every type of gadget that you may lose in one of them. Some say that tablets are modern game-boys and that they aren't a necessity. But, tablets give you such an amazing entertaining experience and you can't denied it. But if for some reason you don't won't to spend big bucks on iPads, Tabs, Transformers, we are going to present you a place where you can find cheap Android 4.0 tablets. At Coolseason you can find great affordable tablets with respectable CPUs, screens with HD resolution which will make your gaming experience great. Prices wary from $50 to $280 and of course there are 7 and 10 inch tablets. From 7 inch tablets with 1.2 GHz processors to 10 inch tablets with quad core 1.5 GHz, here you can find any kind of tablet. 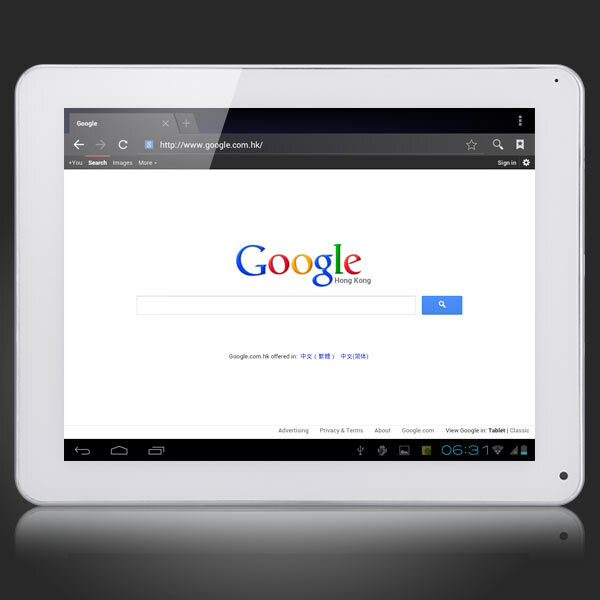 Because you'll choose from wide array of different tablets, there is no doubt that you can find the right one. The Man Cave is mostly on the decline these days. Now that an Xbox 360 and a 50-inch LCD can give you all the magnificent joy that games can provide, there’s very little reason to actually stock your basement or garage with devices that require other people to come over and play. After you’ve reduced a Korean teenager to screaming fits over a Halo match online, there’s really no reason to invite your neighbor over so he can leave sweaty palm prints on your ping pong table. We’re moving toward that sci-fi future where people are kept clean and sterile and isolated from one another, and I for one couldn’t be happier. Air Hockey was a glorious way to work up an afternoon’s resentment toward friends and family. The gentle humming of the motor and the CRACK! of the puck as it ricocheted around that carcinogen-coated table was pure magic. In the final death throes of the arcades, most places brought in tables that glowed, a gimmick that didn’t exactly keep the quarters rolling in. But the tables were cheap to salvage for your home rec room, and now you can relive the experience on your iPhone. The app doesn’t come with a father that takes out his frustrations on the table for an hour and then quietly tells you to never get married, but you can always imagine that part. I was never a big fan of this game, but a foosball table was the staple of every rec room, from the ones in your garage to the church basements where the AA meetings were held. You spin a bunch of long-legged guys vertically and chaotically attempt to slam a ball past the goalie, and the app does a very passable imitation of that. It doesn’t recreate the beer can rings or the cigarette burns on the hand rests, but give them time. There are several versions of this game on the iPhone, some free and some not. You can take your pick, but it really is a fun way to kill 5 minutes. You can pretend you’re shooting your troubles away in your co-worker’s basement paradise, rather than sitting through an online course in traffic school to avoid getting 2 more points on your driver’s license. Again, there are dozens of versions of this to choose from, even an app that lets you play against famous dead people from history. It’s one of the most common games in the world for a reason, and one of the few iPhone apps that can actually prepare you for playing the real thing. Your air hockey skills aren’t going to be genuinely honed by sliding your finger across a smartphone screen, but the various poker apps can teach you the basic rules of a game that predates the steam engine. The most recognizable video game in history needs no introduction, but it’s easy to forget how popular it was in its prime. Arcades with the friendly yellow mouth were standing in the grimy corners of gas stations, restaurants, truck stops and more, and by the early 90’s it was retro enough to be a fixture of many home rec rooms. A genuine Pac-Man arcade today will cost you about as much as your first car, but you can get the game on your iPhone for the cost of a few rounds in quarters from back in 1991. You won’t have the satisfaction of hearing a quarter drop through that magical slot and clink its way through the insides of an arcade, but you can make the noises yourself. That bus seat belongs to you anyway, and it never hurts to throw out a boxcar Willie vibe to keep it that way. You can load these apps on your iPhone today and start enjoying your virtual man cave. And if you share your iPhone with someone to play Glow Hockey 2, you can even get the joy of someone else’s dirty finger smudges on your personal property. Then you can go home and lovingly run another handi wipe over your Xbox controller and leave the hippies in the past where they belong. John is a passionate tech blogger and writer. He also writes as a freelancer for some respected brands such as ProtectYourBubble.com, a leading insurer of tech gadgets and mobile phones. It’s not enough to have a home page, you also need landing pages. A landing page is defined as any page that traffic is sent to for a call to action or a desired result. Landing pages are an essential tool for any ecommerce site. Instead of directing potential customers to your generic home page, directing them to landing pages for specific products can help increase your sales. Not only that, but landing pages can also help increase your rank on search engine results pages. Like all pages on your website, landing pages need to be easy to use and have engaging and unique content. Here are twelve tips to write an effective copy for your landing pages. 1. Match the headline on your landing page to the ad or place from where your visitor came from. If you can’t make it an exact match, keep it close. This will keep your visitor engaged and oriented to your page. 2. Keep your call to action clear and simple. Use buttons or hot-linked text, or both. A good rule of thumb is to have at least two call to actions on short landing pages, and three to five on longer ones. 3. Ditch the “we” mentality and embrace the “you and your”. Always write in the second person. People are looking for how your product or service will benefit them. 4. Remember this is business, not a writing contest. Use clear persuasive language. 5. Keep your content tight. You can write long copy, but you have to keep the reader interested and keep telling them things which will benefit them. Always write a first draft and then pare it down to the most important message. 6. Use longer copy when closing a sale, and shorter messages when you’re getting a subscription or other non-sales related copy. 7. Stay focused on your goals. Build a logical progression from your headline to your offer. Don’t let your copy for your landing pages wander or digress into other territory. Once you’ve lost your reader’s attention, you’ve lost a sale. 8. Most people skimweb pages so keep the most important points to the beginning of paragraphs. Bullet points are good tools to use for landing page copy since people can read them quickly and look for exactly the information they need. 9. People also read the beginning and ends of paragraphs first. Put your most persuasive arguments and critical points in these positions. 10. Keep your paragraphs short. Your first paragraph should be no more than one to two lines. No paragraph should be more than five lines long, and vary the size of your paragraphs to make your page easier to read and more visuallyappealing. 11. Remember screen size. Most readers won’t go any farther than the “fold” (the point where they have to scroll down to read more) if the copy isn’t engaging. Be sure your call to action buttons don’t get lost in the margins and don’t make your readers scroll from side to side. 12. Only ask for the amount of information you need to make a sale. Save the surveys for emails and social media. The main purpose of a landing page is to make a sale, or complete a call to action. Keep the copy tight, on point, and tell the reader the benefits of taking advantage of what you are offering. Each product or service needs its own landing page. When you have well written and well-crafted landing pages you will get conversions and increase your bottom line. Protecting your apps, especially some private things like messages and photos, is a must do nowadays. So here is how to lock apps on Android. First you need to install some good app locker on Android. 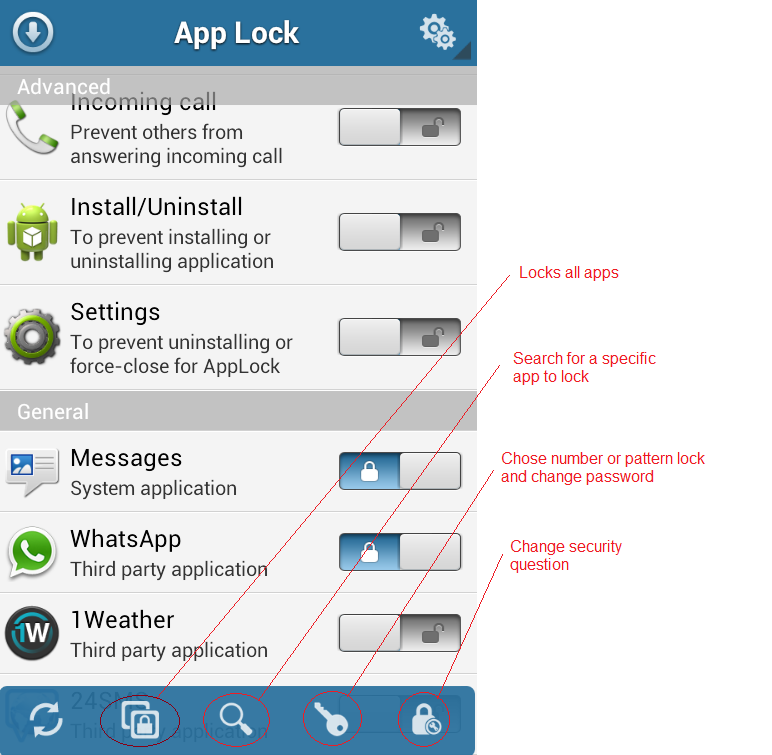 We use APP Lock, which together with Smart App protector are probably the best app locker on Google Play. Then you all need to do is just to select the app you want to lock and tap to right. Thanks to appA, we are able to show you simple presentation of what the app offers and how to use it. 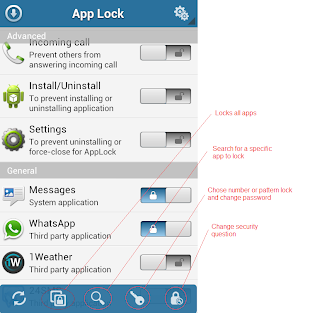 You can download APP Lock safely here. Do you hate reading long text messages? If the answer is yes, in the future there will be a solution for you. The Cambridge University researchers have released a new project called Zoe "digital face that realistically expresses human emotions." Zoe should read the message you get, instead of you. For any sentence, Zoe has a whole gamut of emotions, and it is expected that one day this avatar will be able to read any text message from your smartphone. Also, scientists hope to someday be able to integrate technology that will enable you the picture of you to be the one that will read your text. This may be the first step toward a new era of "face-messaging", as it is called by the experts from Cambridge. There are many companies working on natural communication between humans and computers. The most famous is certainly that Apple's Siri personal assistant programmed to understand normal language and occasionally respond to the occasional joke. IBM's Watson computer is also a fast learner, and it is rumored that he could be found on smartphones in near future. What Zoe does apart from all of these projects is the facial expression of emotion that comes along, within the meaning of the words read. We found this website accidentally while searching for a simple, but at the same time useful, online photo editor to edit one of the photos for our site. Fotor enables simple, yet very useful, photo editing with various photo editing features. You can use it to make a card, collage or HDR (High Dynamic Range). But there are also the basic edits like: crop, resize, straighten etc. Also there is a brush, text, various frames and clip art. All of the edits process fast and with no crashes or bugs. The service is free and there is no registration required, which is kinda great. After you edit or correct the pic you can easily save it or share it to Facebook, Twitter, Flickr or send it by email. If you want more features and want to use it on a computer or phone, Fotor is also available on various platforms. Here are the download links. Android's co-founder and Google's head of mobile, Andy Rubin, will step down but will still remain in Google working on other projects. So, lets see who is Andy Rubin? 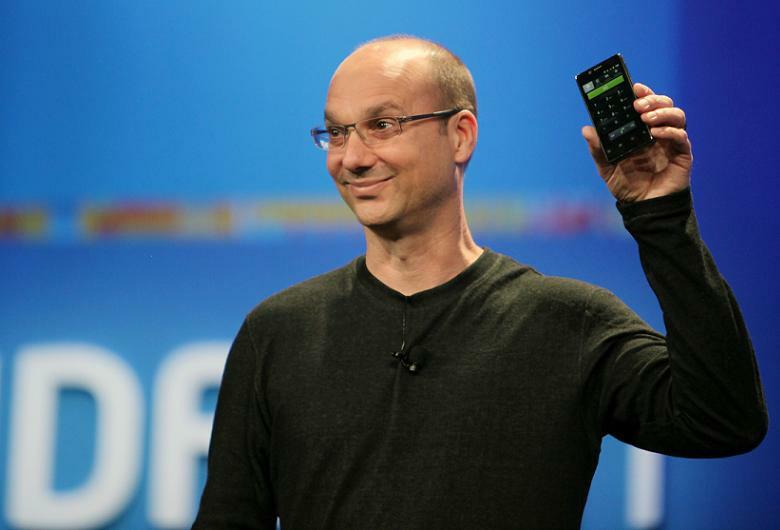 Andy Rubin is one of the most innovative men alive. He's the co-founder of Android, world wide known operating system which Google bought in 2005. He was senior vice-president at Google, in charge of Android, from 2005, till 2013. Andy has 4 patents for his inventions and his net-worth is around $100 million. "Sergey and I first heard about Android back in 2004, when Andy Rubin came to visit us at Google. He believed that aligning standards around an open-source operating system would drive innovation across the mobile industry," stated Larry Page in the official blog post about Andy replacement. Now Android is used by more than 60 manufacturers, more than 750 million devices have been activated globally, and 25 billion apps have been downloaded from Google Play. "Having exceeded even the crazy ambitious goals we dreamed of for Android—and with a really strong leadership team in place—Andy’s decided it’s time to hand over the reins and start a new chapter at Google. Andy, more moonshots please," Larry Page continued. He will be replaced by Sundar Pichai, who currently serves as Google's head of Chrome and Apps. You have a small business, maybe it’s a coffee shop or a bicycle repair shop or a dog grooming workshop. You begin to lose control of your inventory. What should you do? There are many business inventory software programs out there, how do you know which one to choose? 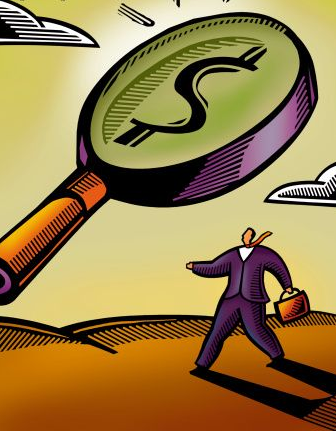 Here are a few things to look for when deciding on a program that will work for your business. Do you need to keep track of the items coming in from vendors? Most inventory software will add inventory items as you receive them, then when they are sold, it deducts them. This type of software will help your business by watching your purchase orders, sales and inventory numbers. You can make invoices, packing orders, pick lists, etc. It can use bar code scanner technology, integrating the items you use into the system. Keep your inventory under control at all times, allows you to know what is selling and what is not selling at a glance. Most of the software is available to try before you buy as a download from the internet. In-Flow – This program has all the bells and whistles, it allows for Product List, Movement history, Integrate barcodes, Document creation, Multi-user mode, Customer history, Reports generator, auto back-up, Bills of material. This is the top program rated number one by CNET. This program is a little more expensive than some others at $299.00. Inventoria – This program is a little different because it allows you to monitor stocks and manage re-occurring orders. It allows you to see in real time the items you have in stock. This is a very easy program to learn and run. Priced at $79..
Small Business Inventory Control Standard – This program manages your inventory for you, it has features such as configuring sales tax, create and send purchase orders to vendors, keeps track of your client and vendors lists. Priced at $99. Know your Stuff – Inventory Control – This program is offered through the Insurance Information Institute. It makes keeping up with your inventory very easy. It differs slightly from other software because instead of buying the program outright, you pay a monthly fee of $9.95 to use it. Google and Google Apps host it. So if you own a small business and need business inventory software, there are many programs that are accessible. We all suffered some lose of data on our devices. I had a friend who had a mental breakdown after he lost almost 18GB of pictures that he taken in a period of 8 years. He recovered only 2 or 3GB. Nowadays it's easier with the use of software like "321Soft Mac Data Recovery". First of all you have to know that it supports Mac 10.4, 10.5, 10.6, 10.7 and 10.8, and it supports all partitions using the HFS/HFS+ file systems. It can help you recover data lost for any reason and it does a very simple recovery with the use of step-by-step wizard. 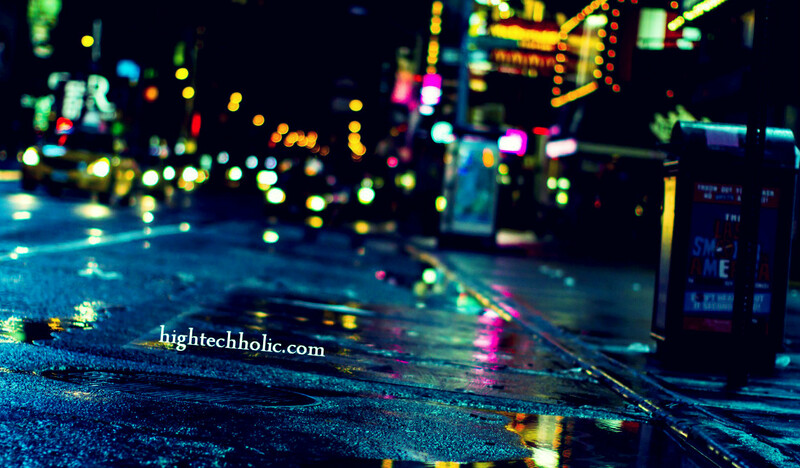 Not only that, it can help you recover data lost in USB flash drive, iPod, SD card, digital camera, CD/DVD disc, music players etc. 1. Choose a media that best fits your data loss problem. 2. Select a volume you want to recover data from. 4. Check your selected options and start the scan. 5. Select and save the files. Also you can choose from a quick scan (which will find any lost data fast), deep scan (that will find every lost data but it will take time to process), clone partition or a drive or use thumbnails preview when choosing which data to recover. Not only that you can recover any lost data, you can also permanently delete data with the "wipe data" option. But after you use this option, you can never recover data from the place you've wiped out. The software is created by 321Soft. Want to burn calories and charge your smartphone? We decided to give a little presentation of a smartphone charger which will help you burn calories. 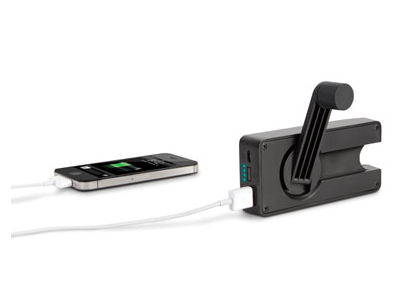 Check out the hand crank emergency cell phone charger. One minute of hand cranking will give you 30 seconds of emergency power. This is ideal when the battery is almost dead and you need to make a call or send a text. Check more info at the official website. If you are new to this and don't know what bitcoins are, we'll do some simple explanations. Bitcoin is the first decentralized digital currency. Bitcoins are actually digital coins that you can send through the internet. You can send them directly to other person, without any interference of banks and basically no fees. You can use them in every country and your account can't be frozen. You can use them to buy various products and even change them to dollars, euros etc. Bitcoins.us is a place where you can earn bit coins in easy manner. Mostly you'll earn by referring your friends to this site. Also you can trade bitcoins because the market value of bitcoins keeps changing. The website is neatly and easily organized. First there are numerous places on where you can spend your bitcoins. Then they explain how you can buy bitcoins online. And then, as must important thing they explain how to get your wallet, because without it, you can't accept bitcoins. 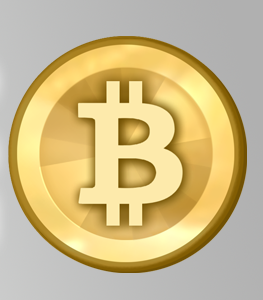 Next in line is the newly created bitcoin tool which helps people to collect their free daily bitcoin giveaways. You just have to enter your bitcoin address and you will receive your free bitcoins. You can do this only once in one day. Or you can earn your bitcoins in different ways like: submitting on the website, leave your phone, visiting websites, watching videos etc. Perfect website for bitcoin newbies and fans. Is this the future of protecting smartphone screens? Recently one very interesting campaign appeared on Kickstarter, and its founders say they have developed to protect the screen which can absorb five times more energy than the existing alternatives. This protection, called Rhino Shield, is only 0.029 cm thick is resistant to scratches and stains. On the Kickstarter page of the product, you can now, at a certain price, purchase this protector for several models of smartphones from Samsung, Apple and HTC. Check out the video. We already presented one super awesome tablet few days ago, and now we're going to present another, this time from Samsung. At the Mobile World Congress in Barcelona, Samsung has introduced its competitor to Apple's iPad Mini. 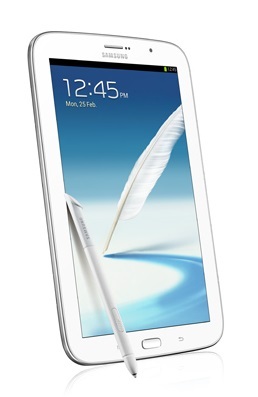 The new tablet, Galaxy Note 8 has an 8-inch WXGA 1280 × 800 TFT screen with a pixel density of 189 ppi. Works on 1,6 GHz processor with 4 cores, 2 GB RAM, with 16 and 32 GB and 32 GB microSD card support. The tablet runs on Android 4.1 Jelly Bean and has a 5 megapixel camera. The tablet dimensions are 211 x 136 x 8 mm, and it weighs 338 grams. Galaxy Note 8 comes with a bunch of preinstalled software from Samsung, like: Chat-On instant messenger, Awesome Note, Flipboard, and has support for electronic pen S Pan with Air View, S Note, S Planner and writing handwritten e-mails. This tablet will be available in Europe in June. Another interesting info connected to this company is that Samsung Galaxy S4 photos leaked.